Hi all! I decided to add some stamping to ILNP Close-Knit! 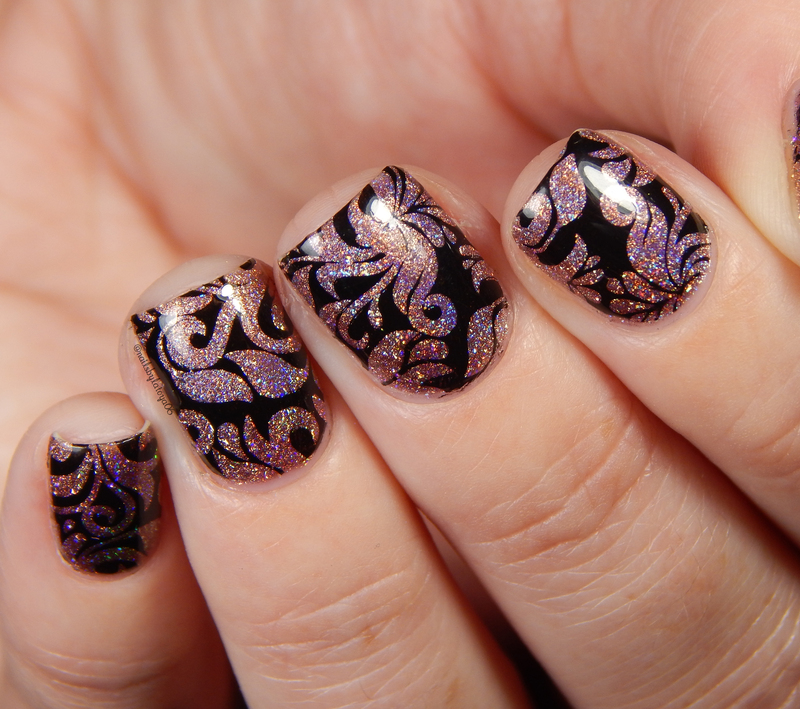 I wanted to do a stamping look that wouldn’t cover up the gorgeous holo shine of this look so I decided to do a black negative space design from Uber Chic Beauty’s 7-03 stamping plate. I haven’t pulled out my Uber Chic stamping plates in forever, so it was nice to sift through them and pick something out to use. I really really love how this turned out, and I hope you do too! 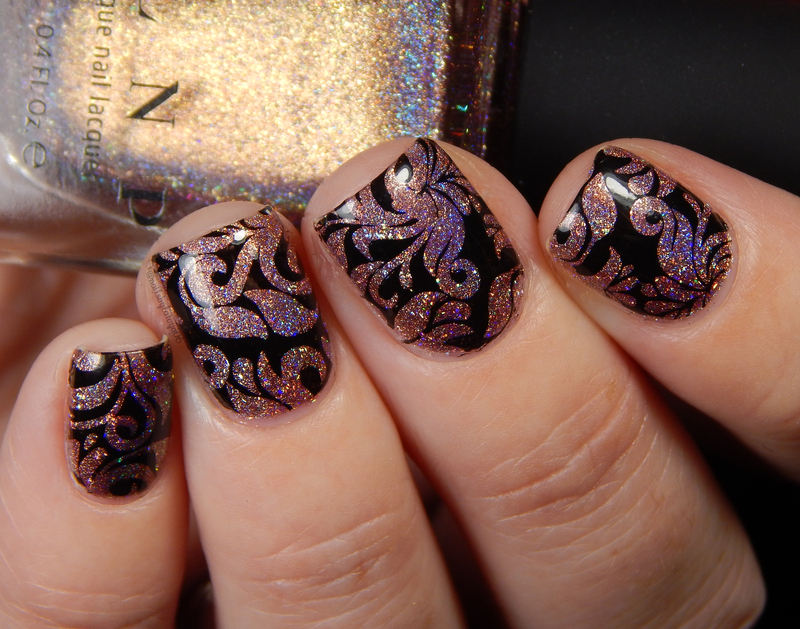 This polish has quickly went up my list in my top 10 fall polishes for this year so far. I am SO in love with it! Look at the gold shimmers in there! Well, it’s time for bed… I’ve been taking yucky antibiotics to get well again, and they have some nasty side-effects. Hopefully I feel 100% once I’m done with them though. Talk to you all soon! This entry was posted in Beauty, Nail Art, Nail polish Swatches and tagged beauty, holo, makeup, Manicure, Nail art, nailart. Bookmark the permalink. I can’t stop looking at your nails. Perfect mani!